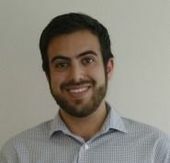 Sami Rahamim is a rising senior at the University of Minnesota, Twin Cities. Ravil Ashirov is a junior at University of Wisconsin, Milwaukee. Sami is against BDS, while Ravil is a supporter. We asked them to debate the merits and demerits of BDS. Sami got us started. SR: The Israeli-Palestinian conflict is deeply complex. Yet, one basic truth holds: Israelis aren’t going anywhere, Palestinians aren’t going anywhere, and it is in both of their best interests to come together and work to arrive at a solution that peacefully ends the conflict. For decades, the framework of this solution has involved the creation of an independent Palestinian state beside a secure Israel. This is the dream of a majority of Israelis and many of Israel’s supporters around the globe, myself included. One of several disturbing facets of the BDS movement is that it deceptively simplifies this conflict to exclusively assign the Palestinians the role of perpetual victims and Israel as oppressors. While this may fit a convenient narrative for pro-Palestinian activists, it distorts reality to the detriment of both Israelis and Palestinians. I understand that we both care deeply about this conflict, but there must be a more productive way forward. When will we move in that direction? RA: BDS is a set of tactics which seeks to put a cost on Israel for maintaining the occupation, an occupation it has been able to maintain relatively cost free, in order to compel it to recognize Palestinian sovereignty and human rights. For BDS to have legitimacy, it must uphold two burdens. The first burden is prudence; BDS has to show gains in the achievement of Palestinian human rights or the potential to make gains. The second burden is that BDS must be able to refute the moral criticisms against it by the opposition, or otherwise point out their irrelevancy. These are burdens which can be upheld. SR: Before we examine the burdens you mentioned, neither of which can be upheld in my opinion, I think it’s important to define some key terms so we can both understand the meaning behind the terms we are using. What does “occupation” mean as you use it? Is it just the West Bank? Jerusalem? Tel Aviv? The founders and leaders of the BDS movement have intentionally refused to make this distinction. RA: Occupation means what it has always meant — those territories that Israel occupied after June 1967. I understand where you are getting at: “BDS wants to destroy Israel.” It’s a point I will answer fully when upholding the moral burden. But first I’d like to go into the burden of prudence, since it’s the basis of all tactical action within activism and the more immediate imperative. In understanding the rationale of these tactics, we have to discuss the history of previous tactics used by Palestinians to end the occupation, and how they stand in relation to BDS. Before BDS, Palestinians mostly used diplomacy and armed struggle to further their goals. The historical record shows diplomacy in and of itself is not a viable means of resolving the conflict, even though the PLO and the Arab world adopted what is now considered the international consensus on resolving the conflict back in the 1970s. These include the right of national self determination for the Israeli and Palestinian people, a return to pre-June 1967 borders with mutual modifications and security guarantees, as well as a just resolution to the problem of Palestinian refugees — in other words, the Two State Solution. But Israel rejected a long list of resolutions put forth by the PLO and the Arab states, with the help of a UN Security council veto from the United States. Arab initiatives continued, evoking from Israel consistent alarm and rejection. The voting record in the UN over the past 25 years has the same results every year. 165 countries vote for the Two State Solution, while the same six countries always oppose it: the United States, Israel, the Federated States of Micronesia, Marshall Islands, Palau, and either Australia or Canada. Armed struggle has likewise proved futile for resolving the conflict. I don’t seek to dispute the moral and legal right of Palestinian armed resistance against occupation; such a right is ingrained in international law under the Declaration on the Granting of Independence to Colonial Countries and Peoples and the Fourth Geneva Convention. But I believe armed struggle has shown itself not to be prudent in achieving Palestinian freedom. In the face of these failures, the present day requires a new set of tactics, and BDS offers itself as just that. In the face of the exhaustion of those methods, BDS stands as a legitimate, non-violent, and forceful alternative to compel Israel to accept a just resolution to the conflict. In its short time of practice, BDS’s gains have been significant. Boycotts and divestments are growing, with material consequences compounding as such actions continue to expand. The political consequences have been even more significant. People are becoming more educated about the conflict, which is correlated with dropping support for Israel, not least of which is occurring among American Jews. Israel is increasingly becoming a pariah state, with the reactionary responses against BDS from its government not helping it in this regard; these include investing millions into reactionary propaganda campaigns such as BrandIsrael to combat these trends, banning activists from entering the country, and banning international NGOs such as HRW from conducting their operations there. SR: There is a lot to respond to here. First and foremost, perhaps occupation has always meant territories captured in 1967 to you, but that is simply not how BDS is practiced by its founders and leaders. If BDS’s goal is to end occupation, and you define occupation as limited to the 1967 territories, how is that at all consistent with boycotting academics from Tel Aviv University? Or the demands that artists not perform anywhere within Israel? BDS’s co-founder, Omar Barghouti, has stated that the BDS movement “oppose[s] a Jewish state in any part of Palestine.” He insists that “no Palestinian, rational Palestinian, not a sell-out Palestinian, will ever accept a Jewish state in Palestine.” This is the essence of BDS activism, and it represents the same shameful rejectionism as the Palestinian leadership that predates BDS, predates the occupation, and predates Israel. Palestinian leaders have had numerous opportunities to make a deal with Israel and bring a state into being, but the result has always been the same: they walked away. Why? How? Because of the ingrained lie that Jews are not indigenous to the Land of Israel. By labeling Jews colonists and imperialists, when in fact we have longed for Zion and maintained a Jewish presence there for two millennia, this lie is able to spread like a virus and is compounded by anti-Semitic conspiracy theories, like the Jewish plot to control the world detailed in The Protocols of the Elders of Zion. The chant I hear most often from BDS activists on my campus is chilling: “From the river to the sea, Palestine will be free.” This dangerous fantasy, of a judenfrei Palestine, tells Palestinians that the Zionist enemy will either “go back home” or agree to dismantle their country and become a binational state. Rhetoric that denies Jewish historical ties to the land of Israel and refuses to acknowledge the Jewish people’s right to national self-determination promotes a toxic environment on campuses here in the US and has lead to violence in Israel. I can assure you that these attacks – economic, physical, or otherwise – will do nothing to improve Palestinians’ quality of life, rendering your burden of prudency invalid. I can also assure you that attempts to coerce Israel into making decisions that will compromise its security will fail, not only because Israel will not be bullied by those who seek its destruction, but because foreign investments in Israel have nearly tripled since 2005, when BDS activities began. Peace is possible, but only through negotiation. It will most certainly not be imposed by international bodies, like the UN, which for decades has been used as a tool by Arab states to create an obsession with Israel unparalleled with any other country in the world. With UN agencies undermining Jewish ties to its holy sites, and the Human Rights Council condemning Israel at every meeting while staying silent on Syria, Iran, North Korea and the plethora of other human rights travesties, how could the UN ever be used to find a solution that serves both sides? In the meantime, there is much Israel, the United States, and the rest of the world can do to improve the quality of life for the Palestinian people, beginning with positive investment in areas like education, economic stability, and healthcare. RA: You bring up a lot of common criticisms regarding BDS, so I want to take to take the time to hit upon all of them as succinctly as possible. This likewise will transition to arguments which uphold the moral burden of BDS. Firstly, to reiterate the most important point I could possibly stress, BDS is a set of tactics, not an ideology or a vision of a particular political resolution. These tactics are meant to force the negotiation of meaningful resolutions by putting a cost on the occupation. The ultimate details of such resolutions can only be decided by the relevant Israeli and Palestinian actors. It would be foolish and paternalistic for international activists to assert specific resolutions. That said, the vast majority of organizations represented on the BDS movement’s steering group and collective leadership explicitly support a Two State Solution along the lines of the international consensus. The fact of “What Barghouti said” in relation to the above facts is irrelevant. Secondly, and this ties in with the first point, from the perspective of international activists, the assertion of the right of return is a statement of legal fact. It does not entail a pressing of that fact as a political demand, nor does it exclude its pressing either. Whether the relevant Palestinian actors will press that legal right, and to what degree they will press it, will largely depend on how serious Israel is in accepting the international consensus. If Israeli rejectionism continues to the point where a Two State settlement along the lines of the international consensus becomes impossible, a point which many say has already been reached, then pressing for the right of return is the only way Palestinians will ever attain their basic human rights. As it regards academic boycott, there’s really one question we need to ask: Is Tel Aviv University an ideological tool in the hands of the Israeli state or a bastion of free thought and speech? The facts point to the former. Think of the plethora of false historical narratives by academics justifying the occupation, the persecution of Israel’s new historians, and the Israeli-house intelligentsia’s role in crushing the post-Zionist movement in Israel. All of these things reinforce the occupation, either through apologetics or blatant academic coercion. Even if it were not the case that Tel Aviv University is used as an ideological apparatus for the state of Israel, the University is inextricably part of the Israeli economy. BDS hopes to target all sectors of the Israeli economy that it is possible to influence. That is because it’s a pragmatic set of tactics, which aims to force the Israeli government to cooperate and agree to negotiations. The cultural boycott functions in the same fashion, to treat Israel as a pariah state until it is willing to negotiate a just resolution to the conflict. The Israeli foreign ministry is a main proponent of promoting foreign artists to come perform in Israel as a way to avoid confronting the reality of the occupation. The last point I seek to address is your point that “peace is possible, but only through negotiation.” The historical record adequately debunks the fact that such a path would lead to anything but further Israeli intransigence, but let’s take a closer look nonetheless. That the UN is biased toward Israel — this isn’t really an argument more than it is a statement, one which passively accepts Israeli atrocities against Palestinians. The assertion that the Human Rights Council stays silent on Syria, Iran, and North Korea is not even a sincere fabrication. There is a very simple heuristic one can use to dismantle this and other similar “singling out” tropes. If one takes a look at Apartheid South Africa, the whole world singled it out, despite other conflicts transpiring around the world, in order to bring down that regime. If Israelis consider people devoting their time to organizing around Palestinian human rights illegitimate due to “singling out,” they must likewise consider the boycotts that facilitated the collapse of Apartheid South Africa as illegitimate, or concede that singling out isn’t an issue at hand. If Israel’s government is doing something immoral, then it ought not to matter that it is the focus of international attention. The fact of the matter is that the government is committing atrocities. SR: You again claim that BDS is a set of tactics detached from any particular ideology. This is a fantasy. Denying that BDS is committed to Israel’s elimination may make it more palatable to a broader audience, but it is an intellectually dishonest rendering of the movements’ roots, tactics, and ultimate objective. The claim that most Palestinians support a Two State Solution is tragically misleading at best. In examining 400 surveys carried out by five Palestinian research centers, Daniel Polisar found that in fourteen of the sixteen times a hypothetical Two State Solution was presented to respondents, a majority of Palestinians rejected the deal. You casually dismissed Barghouti’s proclamation that BDS demands all of Palestine as “irrelevant,” but, sadly, it cuts straight to the core of the issue. On all sixteen occasions when Palestinians were asked if they would be willing to “adopt [a] school curriculum in the Palestinian state that recognizes Israel and ceases to teach school children to demand return of all of Palestine to Palestinians,” the overwhelming majority, an average of 88 percent, said no. The rhetorical question you ask in regards to Tel Aviv University can be answered with facts very simply. The co-founder of the BDS movement, Omar Barghouti, once again makes for a great Exhibit A. While steadfastly calling for the same boycotts you support, he himself obtained a master’s degree in philosophy from Tel Aviv University. So while I would love to understand how Barghouti would effectively boycott himself, the disturbing reality is that economic boycotts often end up hurting Palestinians more than they could ever hurt Israelis, upending your first burden to prove. Israeli companies employ roughly 36,000 Palestinians over the Green Line. These companies are a real-life model of coexistence, where Jewish and Palestinian workers operate side-by-side, getting to know one another, growing their compassion and seeing the humanity in people their societies often tell them are fundamentally different. Palestinians receive full benefits and earn equal pay to their Israeli coworkers — which on average is three times the median salary their neighbors who work for Palestinian companies earn. And what happens when your boycotts do make an impact, as in the famous case of SodaStream? Israeli companies will simply move inside the Green Line, and the only losers are the Palestinian workers you claim to support. It is also highly instructive that even after SodaStream moved to the other side of the Green Line, the boycotts continued. This too proves that to BDS proponents, the conflict is not really about 1967 at all. It is about Israel’s very existence. So while BDS has proven to be woefully ineffective in shifting Israeli policy to the benefit of the Palestinians, the question remains as to what you and others would consider a “just resolution” to the conflict. This is the true impasse. From what I can gather, like most other BDS supporters, for you, a just resolution to the conflict means the end of Israel as a Jewish state. This is simply a non-starter for the basis of negotiations. Your assertion that granting the right of return is the only way for Palestinians to attain their human rights, uses people as pawns in the decades-old attempt to end Jewish sovereignty in our historic homeland. Palestinians are the only people on earth whose descendants are considered refugees for infinite generations. The number of Palestinians alive today who fled their homes in 1948-49 (as a result of a war launched by invading Arab armies, lest we forget, that the Arabs lost) is very few. Israel has been open to compensating them as part of a final status agreement. But the notion that their decedents, who may even live here in the United States, are entitled to anything from Israel is a prime example of a double standard employed against Israel that no other country faces. And once again, the result is a losing scenario for Palestinians living in refugee camps in Lebanon, Syria, and Jordan, victims of Arab cynicism, as they continue to discriminated against by those governments and blocked from upward social mobility. We seem to agree that peace is possible, but it will require pro-Palestinian advocates to accept the truth I laid out when we began the discussion: Neither Israelis nor Palestinians are going anywhere, and they will need to work together to find solutions that are in both of their interests. Treating the conflict as a zero-sum game, as BDS does, will fail to move us forward at all. Thus, the question remains: When will we move forward? RA: The fact is that BDS holds widespread support among Palestinian workers and unions. Palestinians get less than minimum wage working for Israeli companies. Their support for BDS shows that they are willing to forfeit an occupier’s wage slavery for the achievement of basic human rights. Your surveys misrepresent reality; most Palestinians support organizations and parties which endorse the Two State Solution. But regardless of these Palestinian initiatives to compromise, facts are facts: Israel has and will continuously reject reasonable initiatives for peace. Therefore, BDS is justified both morally and pragmatically in compelling Israel to recognize Palestinian basic human rights. Sami Rahamim is a rising senior at the University of Minnesota, Twin Cities. Ravil Ashirov is a junior at University of Wisconsin, Milwaukee. This story "We Asked Two College Kids to Debate BDS. Here’s What Happened" was written by Ravil Ashirov. Give today to help fund the Forward's reliable reporting and intelligent analysis. Our stories engage the next generation of young Jewish readers and connect them with Jewish ideas, Jewish culture and Jewish life. You can inspire young Jews. We are a nonprofit and depend on support from our readers. Every donation matters. Sami Rahamim is a junior at the University of Minnesota and a progressive pro-Israel activist. He is currently studying abroad in Bangalore, India.